Available in rosewood and many other types of wood on request. 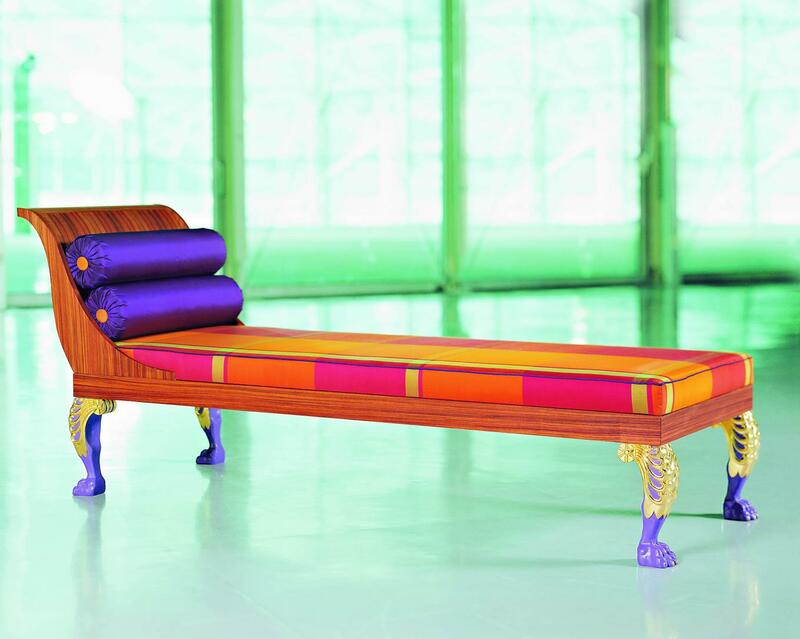 Viennese Biedermeier styled Chaise longue. 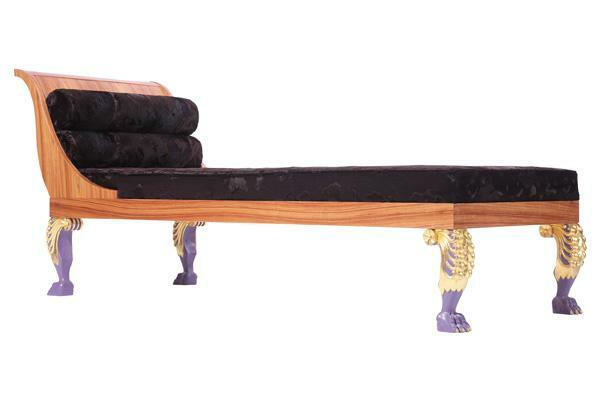 Depending on customer`s wishes one or even two bolsters are gently incorporated into the perfectly matched backrest. Solid wood is veneered with finest rosewood veneer, all the wooden surfaces are matt lacquered, not stained. Feet made from linden wood, hand-carved and finished with gold leaf. Black/white/purple varnishing in some places of the feet. Single-welt on upholstery`s edge.